TR er klart Kinas førende fabrik for stå- og flangelejer (\"units\"), som eksporteres til så krævende markeder som USA, Japan og Europa. Fabrikken er ISO 9002 certificeret og fremstiller udelukkende units og lejer med sfærisk yderring. Man har eget støberi og kan derfor også levere lejer med huse af GGG-jern, lige som man ved passende styktal kan levere lejer i specialmål og specialudførelse. Programmet er særdeles stort, og vi lagerfører et meget bredt sortiment. PTI Europa A/S is a global supplier of Ball- and Rollerbearings, Housings and Transmission Parts. It was founded in 1991 by continuing and expanding the former German manufacturer HFH. In addition special items are also provided in accordance with customers requirements for various applications. PRETEK ApS beskæftiger sig med salg af lejer og linearsystemer til den danske industri samt at yde den nødvendige tekniske support, som i dag forventes af vor kunder. Vor fokus og styrker gør os i stand til at agere hurtigt, effektivt og seriøst i forhold til vores kunders behov. Vi tilbyder et bredt produktsortiment af kendte og velrenommerede brands til konkurrencedygtige priser samt høj leveringssikkerhed fra centrallager i Birkerød. ТРИЕРА е водещият за България и региона доставчик на продукти, решения и услуги в областта на търкалящите лагери. ТРИЕРА предлага подходящи решения за всяко приложение на търкалящите лагери съобразени с конструктивните изисквания и особености на различните лагерни възли. ТРИЕРА ООД е оторизиран дистрибутор на световно известни марки лагери като : NTN/SNR(Франция), TIMKEN(USA), ASAHI(Япония), ZVL (Словакия), ZWZ (Китай). Фирмата е и директен вносител и предлага на своите клиенти лагери от марките ZKL(Чехия), VBF(Русия), SBP(Русия), WBF(Китай), CFB(Китай) и много други. Услугите включват консултантска дейност, услуги по поддръжката, мониторинг на състоянието и обучения. KG International FZCO… KG International FZCO is a fast developing and very promising American company offering a variety of bearings. Up to now it has 7 factories and as all world producers today it preferred building their factories in the Far East countries because of the competitive prices of the production. Companies store facility in Dubai of about 125,000sq. ft. in Jebel Ali Free Zone. KG has more than fifty distributors all over the world and annual turnover running in 100 million USD. KG brand name comes from the initials of Mr. Kedar Gupta, owner of the company, who has devoted his life in bearing business in long years experience in the Japanese bearing factories. In the bearing business circles he is known as the God of bearings. DEVELOPMENT… Today, due to our restless work and determination to succeed we have become the unique distributor for KG brand not only for Bulgaria also for Serbia and Montenegro, Macedonia, Croatia, Slovenia, Bosnia, Herzegovina & Kosovo. We have our representatives in many Bulgarian towns as well as offices in Beograd and Zagreb. Because of the specific technical enquiries in the machines it is often that the bearings used should be produced in a high standard country. 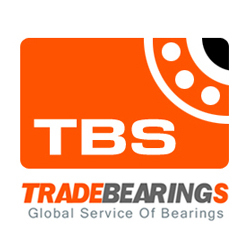 So TANITA is already offering NACHI brand bearings produced in Japan for the market in Serbia and Montenegro, Macedonia, Slovenia, Bosnia, Herzegovina & Kosovo. OUR PROMISE… KG brand bearings have been carefully designed to satisfy the needs of a specific global market. Company\'s ISO 9001:2000 certification is a proof of its quality. We have already experience in development of new bearing items for the use of specific markets from samples of our clients. Our clients of many years often say: \"If we cannot find this bearing here, its no where else we can find it\". It is our pleasure when the client is satisfied with the solved problem. We are confident not only to match but also surpass your expectations! SOFIANI LTD. deals with import, export and wholesale and retail of bearings from all leading manufacturers. We have a large product list, and a team of professionals who are always ready to answer your questions. Фирма “Прециз-2” ООД е създадена през 1992г. от специалисти по машиностроене, поддръжка и ремонт на машини. С дългогодишния си опит фирмата е еталон за коректност и точност. Основната ни дейност е търговия с машинни и автомобилни търкалящи лагери и промишлени стоки: внос износ реекспорт изкупуване на стари складови наличности търговия с промишлени стоки за поддръжка и ремонт на машини, съоръжения и инсталации Фирмата разполага със собствени: транспорт склад под митнически контрол тип \"А\" Разполагаме със следните основни марки лагери на склад :AKE, APZ, ARB, ASAHI, CHB, CMB, CNR, CX, DKF, DURKOPP, DYZV, FAFNIR, FAG, FKD, FLT, GATES, GMN, GPZ, HARP, IKO, INA, KG, KINEX, KOYO, MGM, MPZ, NACHI, NADELLA, NKE, NSK, NTN, PIX, POLLARD, URB, RENOLD, REXROTH, RHP, RIV, ROLLWAY, ROLTOM, SKF, SLF, SNFA, SNH, SNR, SRBF, ZVL , ZKL и много други. Разполагаме със следните основни марки ремъци на склад: GUFERO, PIX, POWER BELT и др. Официални представители сме на CMB, SRBF и FKD - качествени лагери от Китай. Нашето предимство: много голямата номенклатура от лагери и промишлени стоки на склад, които гарантират най-бързата възможна доставка във всеки момент ! Kastel Karlovo AD is a leading company with main activity trade with rolling bearings, steel wire ropes and accessories, abrasive and diamond tools, belts and other products for the machine-building, mining, light and steel production industries and agriculture. Kastel Karlovo AD is: Authorized distributor of NSK brand bearings, Japan; Exclusive representative of IKO brand bearings, Japan; Exclusive representative of KBS LLC brand bearings (Kedron Bearings Services LLC, USA) for Europe; Exclusive representative of Saint – Gobain Abrasives, France -- leading manufacturer of abrasive and diamond tools, brands Norton, Flexovit, Winter, Atlas, Rasta and Grinding; Authorized distributor of GATES brand industrial belts (leading belts producer in the world), for Bulgaria; Kastel Karlovo AD has established trade relations with leading Korean, Chinese and European suppliers thus expanding its product range with the delivery of tools, belts, steel wire ropes and steel wire rope accessories. For us, the ISO certification 9001 2008 and the continued upkeep of its effectiveness represent our respect for our customers and for our continued presence in the market.